Rate this Article Wondering what you can play over the weekend? Well, we might have some choice slot games for you, courtesy of Zzzslots! From time to time, we’d recommend an online casino site where you can find the best online slots and bingo games to play for free, and today, we’re happy to introduce to you our latest discovery – Zzzslots! If slot games are your thing, you’ll definitely love this site! With over 3000 free slot games and counting on the site, you’ll have lots of choices and even more opportunities for you to turn a buck. Their games are all neatly separated into different categories based on their paylines, theme or providers. You can then use the filters provided to easily select the game you like to play, depending on your personal preferences. There are many different types of slot games as well, ranging from the Classic slots to no-deposit slots and even progressive jackpots. 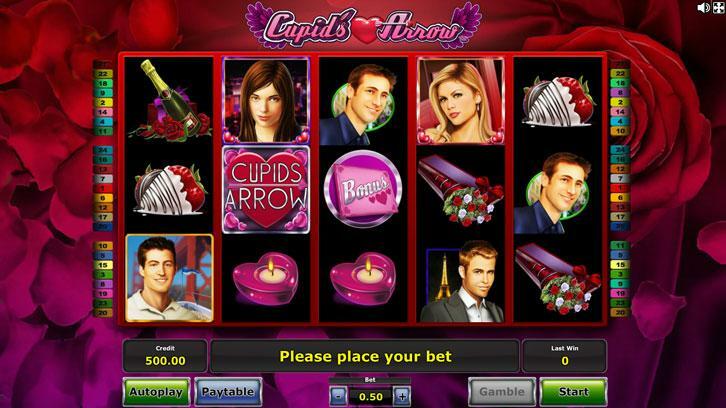 For Classic slots, you can enjoy playing your “traditional” slot games like Bullion Bars, and Magic Seven Deluxe, but if you’re looking for something special in conjunction to the upcoming Valentine’s Day, you may want to play Secret Romance instead. There are other pretty common yet fun themes available in Zzzslots, including Egyptian theme (Pharaoh’s Tomb and Sphinx), Chinese theme (Golden Rooster and Fucanglong) and even Western themes like the game, Jack on Hold. If you like playing slot games on your mobile instead, then you can check out the list of mobile slots Zzzslots has to offer as well. Want to play the site’s more unique slot games? Well, Tahiti Feeling is a prime example. Besides the usual Spin button-clicking gameplay, the winnings you get per spin can be gambled further via the game’s Gamble Ladder or Gamble Cards. If you’re lucky, you may get to double or even triple your winnings. However, since this extra gamble is pretty much “all or nothing”, you may risk losing all of your winnings if you lose your bet. Despite the risk, this extra aspect of the game does make the gameplay a lot more exciting and fun! Best yet, you can decide how you want to play your slots be it just for fun, or you can play with real cash. In some way, the “play for fun” mode is a way you can test out a slot game before actually investing some real cash into it. Most free-play games will offer you with substantial free credits so you could try the game for quite a number of times, though the amount of credits you’re given will vary from game to game. Do take note that the winnings you get while you’re playing with credits cannot be converted into real money. You’ll need to play the slots with real money in order to win actual cash. Aside from offering a ton of new slot games for free, you can also play other casino games here. Zzzslots provides a wide variety of other fun casino games such as Blackjack, Video poker, Keno, roulette, craps, baccarat, bingo, and even scratch cards for you to play without ever needing to leave the site. Of course, let’s not forget about the many bonuses the site has to offer. If you want more freebies, simply subscribe to the site’s newsletter and get yourself some free spins, exclusive game offers, and free chips! To sum up, Zzzslots is among the best sites on the internet for you to play a huge variety of slot and other casino games for game cash or even real money. So, be sure to drop by to check out their games this coming weekend and most importantly, have fun!